I’d like to take a few minutes and educate you about MLM Drop Cards. This is a secret lead generation strategy MANY network marketers have used for YEARS, to get a constant flow of new leads for their business. What Are MLM Drop Cards? A drop card is a short marketing message on a piece of paper, designed to captivate your prospect’s attention and entice them to call your toll-free number or visit your website. Normally, they are slightly bigger than a business card and slightly smaller than a postcard. I have provided some example MLM Drop Cards later on in this article, just to give you a general idea. One of the most common drop cards is the fake $100 bill. Basically, it looks like a $100 bill, but when you flip it over it has your marketing message on it. Why Use MLM Drop Cards? Let’s be honest for a minute. Quite perhaps the biggest challenge most network marketers struggle with is GENERATING LEADS for their business. After they work through their warm market, they are stuck. Even worse, most new reps are scared to talk to people because they fear rejection. This is where MLM Drop Cards come in handy. Using drop cards is simple. Anyone can do it. It doesn’t take any special skill-set. It’s not a time consuming task either. That’s why drop cards work so great. You simply hand your drop card to a prospect, don’t say anything at all, and walk away. If they are interested in your marketing message, they will call you or visit your website. You can also enclose your MLM Drop Cards with your bill payments, when you tip your waitress, when you visit the convenience store, when you go grocery shopping, and hundreds of other places. Anyone can easily hand out 10-20 drop cards per day, just while they are out and about living life. Your WHOLE TEAM can use drop cards. It can be your lead generation system for your team. What Type of Response Rate Can I Expect? I can’t legally guarantee a specific response rate. Individual results will always vary. 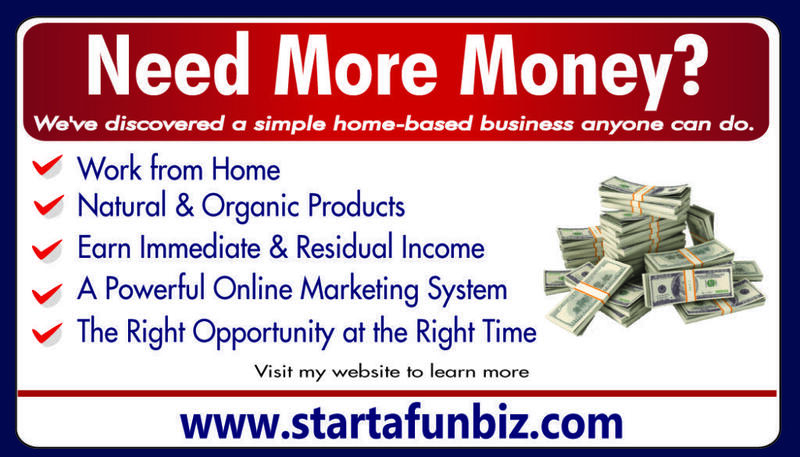 From personal experience, I can tell you that for every 100 MLM Drop Cards I hand out, I normally get 5 to 8 visits to my website, of which 1 or 2 become leads. This doesn’t sound like much, but imagine what you could attain if you and 50 of your team members were all handing out 10-20 drop cards per day? # 1 Hand Them Out Consistently -Your key to success is to be consistent. Never let a day go by where you don’t hand out 10-20 MLM Drop Cards. Doing so will create a new habit, which is what you want to do. # 2 Keep the Message Simple – Think of your drop card as a classified ad. You want to pique the person’s interest, give them a little bit of information and tell them what you want them to do. You don’t need fancy graphics. The most important thing is the MESSAGE. # 3 Don’t Mention Your Company’s Name – Keep your drop cards generic. Don’t say you are a distributor with such and such company. # 4 Use Bright Colored Card Stock – I like the bright pink, bright orange and bright yellow card stock. It really stands out and gets noticed. # 5 Use a $100 Bill Drop Card – You can order these online. You can print your marketing message on a replica $100 bill. This really gets people’s attention. # 6 Provide Multiple Ways to Contact You – Provide your phone number, email and website so people have multiple ways to get in touch with you. If you provide your phone number, make sure you take live calls, so you don’t end up playing phone tag with people. # 7 Give Them to People – Whenever possible, put the drop card in your prospect’s hand, rather than leaving in a public place. You don’t have to say anything, other than “take this.” Just give them the card and walk away. # 8 Set a Goal – Set a goal for how many MLM Drop Cards you want to hand out each month and keep track of it. This keeps you accountable. # 9 Teach Your Team to Use Drop Cards – One of my best tips is to teach your team members to use drop cards to grow their business. What type of growth could you expect in your business if you had 10-100 people on your team each handing out 100 drop cards per day? I think you would see a huge influx of new leads and new reps.
# 10 Track Your Results – My final tip, and one of the most important, is to track your results. Keep track of how many drop cards you hand out, how many calls you get, and how many new reps and customers it leads to. That way you know your conversion rate. It might also be in your best interest to test out a few different drop cards to see which ones convert the best. Keep in mind, this list is just the first 20 things that came to mind for me. 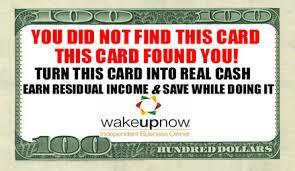 What I suggest you do is anytime you stop your vehicle to visit a store or business, hand out 3 to 5 MLM Drop Cards. Do that and you can easily hand out 50 to 100 per day. Here are some sample drop cards I found online (the first one is mine). You don’t have to use these exact ones to be successful. Just get creative, keep it simple, and have a powerful marketing message. If you aren’t using MLM drop cards to expand your network marketing business locally, you are really behind the power curve. I think it’s a great and inexpensive way to generate leads for your business, even on a shoestring budget. Your key to success is to hand out thousands of drop cards each month, and follow up with all of your leads promptly. What are your thoughts about generating leads with drop cards? Have you ever tried it? Leave a comment below and let us know your thoughts. I look forward to hearing from you. Have a great day. These days you don’t even have to have a website with hosting. I am going to leverage these with Text Message Marketing. I like the drop card technique and I know for a fact that it works! And you can devote a day a week to passing them out, like you said. OR, keep a stack with you in your car or purse (ladies) and literally drop them at every place you go throughout the week. You can just work dropping them into your daily routine. Cheap, effective advertising! It is cheap and effective advertising. You can do it when it is convenient for you. That’s what I love about it. Drop cards. You can put them anywhere: community boards at the library and the grocery store, bulletin boards in other businesses, on the counter at the local mom-and-pop store (you may want to offer to take some of theirs in return). Give them to the guys at the check-out counter, your hairdresser and the waiter who brought you your bill. Make sure that the cards are inexpensive, though: since you are not giving these to a targeted audience, a lot of them might end up in the trash. Always offer to take a business card in return: not only is it polite, but it is also an instant lead! I love the idea of using drop cards. I’ve done it myself many times and it works. I like this idea. I guess you would have to purchase a domain name first though or would you just use a blog site? I do have a blog that I could connect people to with more information about me and my company. I never thought about drop cards and since I am not working I have plenty of time to pass out information. I wll have to add that to my schedule. Good for you. Drop cards do work. It really is not all that expensive to purchase a website with hosting. I received a great deal through iPage where I have my website hosting for 2 years and my domain name for 1 year. It isn’t hard to install WordPress, and just follow the many tips and tricks all over the internet. I believe this drop card technique would work well in many types of businesses. As a book writer, I am debating trying this as a technique to sell books. Great post, and great idea. Drop cards work great. I use them myself from time to time.